Weaving together material from many sources, this collection provides a context for understanding death —whether our own or a loved ones— and experiencing it with awareness and equanimity. 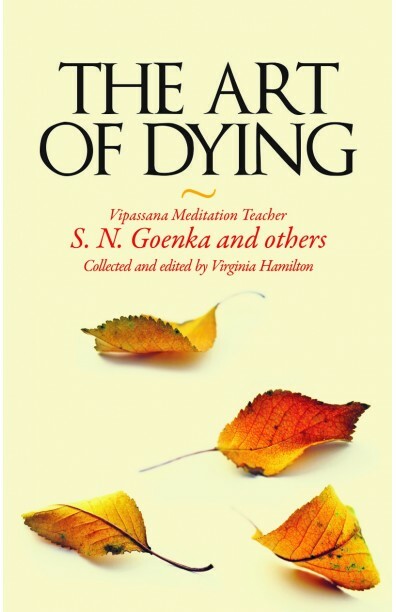 It features passages from the Pali texts, writings of S. N. Goenka, poems, theoretical expositions, a question-and-answer section, and compelling essays by or about meditators confronting the end of life. With humility, tenderness, and often a smile, they learn to accept their own impermanence, suffering, and non-self. Much of this material was collected from the archives of the International Vipassana Newsletter.